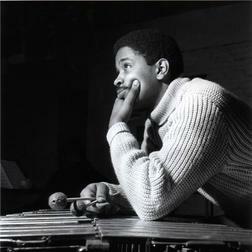 Bobby Hutcherson is a jazz vibraphone and marimba player. His vibraphone playing is suggestive of the style of Milt Jackson in its free-flowing melodicism, but his sense of harmony and group interaction is thoroughly modern. Hutcherson has influenced younger vibraphonists like Steve Nelson, Joe Locke and Stefon Harris.